Thanks to the Windham Cooperative Kindergarten for once again running their Giving Box Food Drive for the Shepherd’s Pantry. This year they collected eight bags of food and monetary donations as well. Thanks so much for your help! 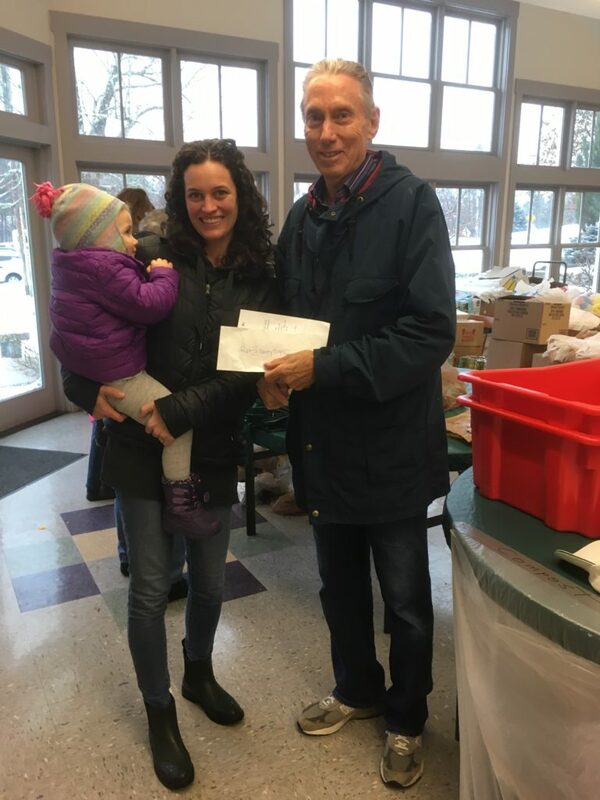 Tom Dewitt, Shepherd’s Pantry Vice President, accepts a donation from a representative of the Windham Coop.